Hugh Trenchard was born in 1873. 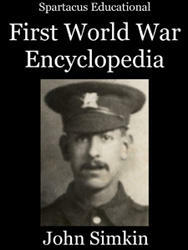 He entered the British Army in 1893 and served in South Africa and West Africa. His interest in aviation led to him in 1913 being transferred to the Royal Flying Corps (RFC) where he assistant commandant of the Central Flying School. 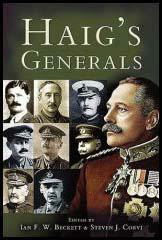 In August 1915, Major-General Trenchard became the RFC's General Officer Commander in the field. When the Air Council was formed in January 1918, Trenchard became Chief of the Air Staff. In the post Trenchard helped establish the Royal Air Force but he resigned from office in April 1918 after a quarrel with Lord Rothermere, the Air Secretary. In June 1918 Trenchard established the Independent Air Force. Trenchard, a great believer in strategic bombing, began to organize attacks on rail and industrial centres in Germany. In February, 1919, Winston Churchill, Minister of War and Air, invited Trenchard to return as Chief of the Air Staff, a position he held until his retirement in 1929. The following year he was raised to the peerage and appointed commissioner of the metropolitan police. Trenchard carried out a series of important reforms including the establishment of the Police College at Hendon. Viscount Hugh Trenchard died in 1956.